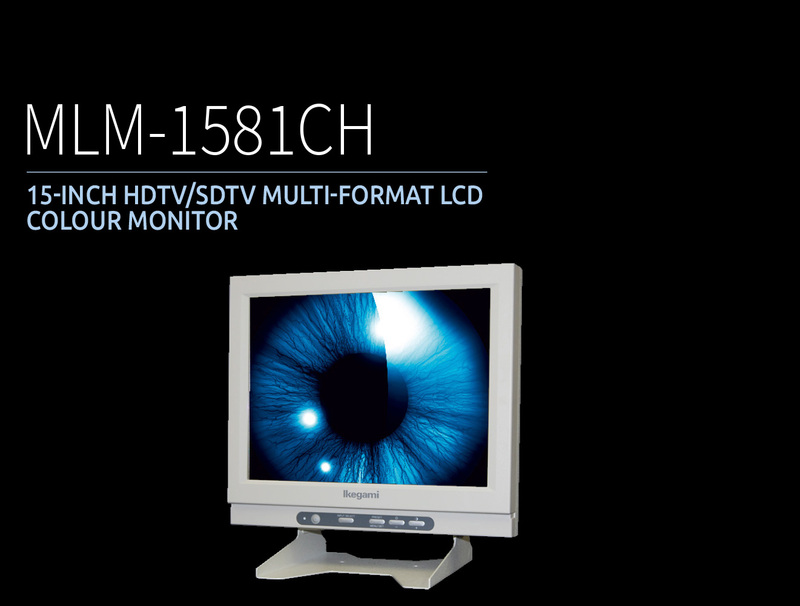 The MLM-1581CH is a Multi-Format 15 -inch LCD Monitor for easy operation with higher performance. All Ikegami medical LCD monitors are designed to withstand harsh applications and environments for a long service period. Built with a strong Aluminum Alloy frame body for easy handling in setup and also for a good anti-radiation performance. All Ikegami medical LCD monitors employ a high quality LCD panel of high resolution with very natural color reproduction capability, enhanced video quality is achieved by a newly employed powerful Signal process engine. Easy viewing is assured with a smart digital process, compensating for, digital Jaggy-free lines in an interlaceprogressive conversion, irritating glare from differences in each pixel and general noise generation especially in dark areas. Both 178 degrees, Vertical and Horizontal viewing angles are achieved ensuring much easier viewing of the panel from different positions with a high screen contrast ratio. The IK-LCD75-100-B VESA type Wall Mount Adaptor is available as an useful option for 15”, 19” and 24” Ikegami LCD monitors. 5 different Gamma characters can be set, including the Standard CRT Gamma of 2.2, the DICOM Gamma and so on. For ease of operation and for versatility, Ikegami medical LCD monitors can provide a lot of digital interface inputs and outputs, such as HD SDI, DVI as options, on top of the standard composite, Y/C and component signal provision. The user file menu comes equipped as standard with non-volatile memory for 5 different file settings on each type of input. A screen protection panel and water-proof front control panel are available as an option. A VESA mount with 100mm space fitting holes is provided for easy mounting with moving arms, wall mount or ceiling mount.